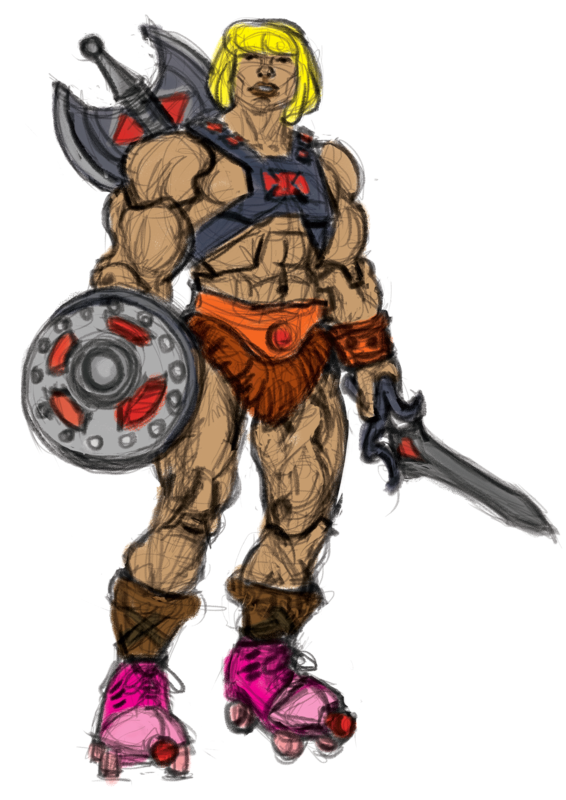 So I completed a concept sketch of He-Man wearing roller-skates. I really had to hold myself back and sketch as true to the toy as possible even when I was sorely tempted to make him go full roller derby girl. I might be rather cruel to the memory of He-Man because every time I draw this character I want to make him exaggerate his masculine body shaper but still give him overly feminine features and gestures similar to how Arnold Schwarzenegger looked in Conan the Barbarian. I think I can take it further with this sketch later as a personal illustration and draw him with stripe knee socks along with elbow, knee and wrist protection pads. At the moment I can’t think of an appropriate derby name that will not offend transvestites or transexual people. Humour and political correctness is getting harder to balance nowadays. I also did more design sketches for the faces for the Guess Who Board. This is my first attempt but I stopped midway when I realised that I was going completely off tangent. As fun as it was to paint this, the angled tilt of the head as well as the addition of the neck and the shoulder just doesn’t make it a Guess Who face. 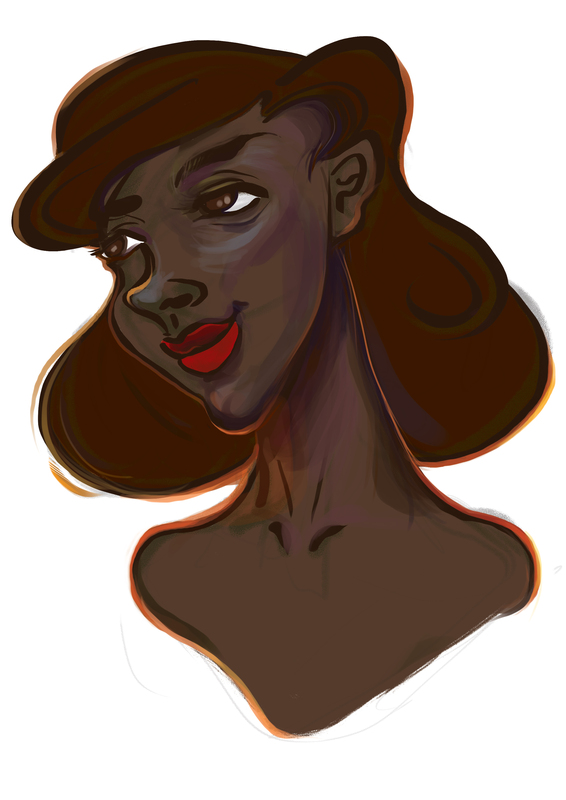 So I am setting this aside for now and moving on to another style that would be more suitable.